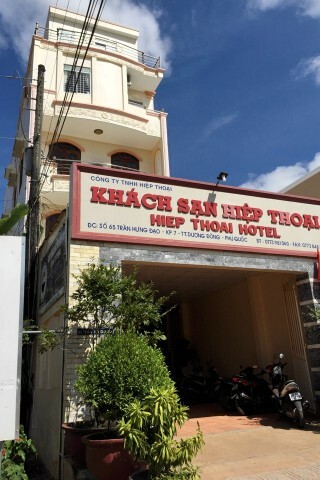 Located on the main road Tran Hung Dao, just across the street from an access point to the northern terminus of Long Beach, Hiep Thoai Hotel is an excellent guesthouse-sized hotel. Average rating 8.1 from 216 reviews. Rooms are bright, clean and tidy, filled with functional solid wood furniture including a desk/vanity, wardrobe and mini fridge. The addition of a wall mounted flatscreen TV and bedside table is a pleasant flashpacker perk at this price, and so is the air-con and WiFi. The wetroom style hot water bathroom also looks bright and clean. Hiep Thoai Hotel is one of the best budget digs on Long Beach, if you don’t mind being away from the central Long Beach village action. You’d have to ride or drive to get to the beach’s main bars and restaurants. On the flipside, you are walking distance to town, just 550 metres to the night market and only 100 metres to the ocean. You can see the water from the hotel’s front entrance.  Check rates at Hiep Thoai Hotel on Booking.com.